• 1/2 to 3/4 inch standard low heel for RAD exam up to grade 2. 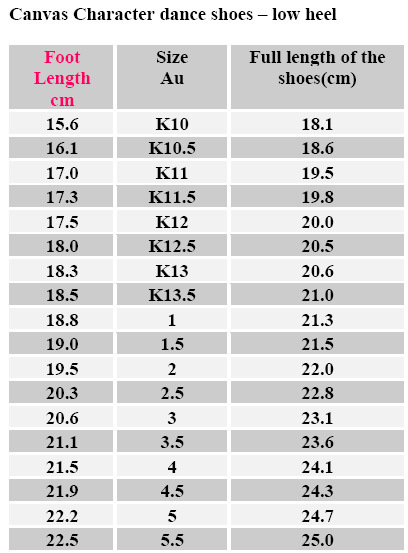 Fitting: Dance shoes Size chart is recommended for an average wide fitting, recommend foot length is comfortable with growing room, no need to add extra any extra added will be too big. If you prefer good fit, half size down will recommended. 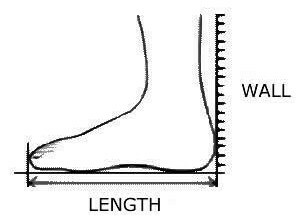 Narrow fitting: If you are a very narrow fitting pls go foot length 5-10 mm smaller than the full length of the shoes to give a good fitting, the recommended size chart will be too generous.